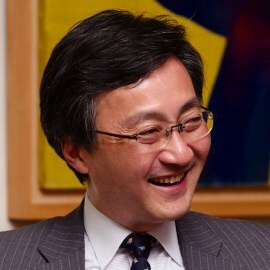 Ken Shibusawa is Executive Director of Shibusawa Eiichi Memorial Foundation (https://www.shibusawa.or.jp/), a private foundation dedicated to studying the achievements and promoting the high ideals of “harmony of morality and business” which was practiced by Eiichi Shibusawa (1840~1931), “the father of Japanese capitalism. In 2001, Ken founded Shibusawa and Company, Inc., a strategic consulting firm specializing in alternative investments, corporate governance, CSR and human resource development. He also founded in 2008, Commons Asset Management, a mutual fund dedicated to deliver long term investment opportunities to the Japanese household. He has extensive market experience at JP Morgan and Goldman Sachs as well as Moore Capital, a global macro hedge fund, where he was the representative managing director of the Tokyo Office. He is also director of Keizai Doyukai (Japan Association of Corporate Executives), director of Healthcare Policy Institute Japan, director of Malaria No More Japan, among others. He was educated in the United States from second grade elementary through college (University of Texas, BS Chemical Engineering, 1983), and then returned again for graduate school (University of California Los Angeles, MBA, 1987).